Flame retardants have been widely used since 1975 in many household items. But states are reconsidering their value and health risks. 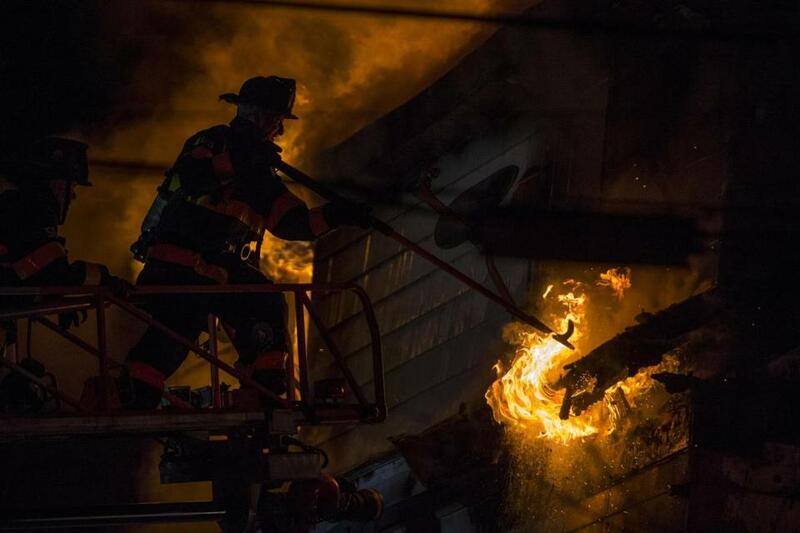 Amid growing concern that flame retardants are responsible for elevated cancer rates in firefighters, Massachusetts lawmakers are pushing legislation that would go further than any other state’s in banning the use of chemicals meant to slow the spread of fires. Fire officials and environmental advocates, who have joined forces to support the restrictions, contend that at least 10 chemicals used in flame retardants endanger firefighters, while doing little to stop fires. They support two bills that would prohibit manufacturers and retailers from using the chemicals in children’s products and upholstered furniture and authorize state environmental officials to ban other retardants they designate as health risks. But chemical industry officials say that evidence linking the chemicals to cancer remains uncertain, and that the retardants play an important role in public safety. “Because these substances do deter fires, they provide additional time for families to escape and provide more time for firefighters to arrive,” said Robert Simon, vice president of chemical products and technology at the American Chemistry Council, a trade group that represents chemical companies. Simon has testified against the bills being considered on Beacon Hill, which he says are more sweeping than similar bills that 13 other states have passed in recent years. No other state has proposed banning as many chemicals, he said. Some of the chemicals that Massachusetts lawmakers have cited have been deemed safe by regulators, Simon added. “We don’t support any state regulation of a substance where a government authority has made a determination that they don’t present a risk,” he said. Simon and other opponents of bans argue that until there is conclusive evidence linking the chemicals to cancer, their benefits outweigh the risks. They note that firefighters are exposed to other kinds of carcinogens, such as diesel fumes from their trucks. Flame retardants have been widely used since 1975, when California began requiring that all polyurethane foam in furniture and children’s products be able to resist an open flame for 12 seconds. Other states followed suit, and today many ordinary household items — from sofas to mattresses — contain flame-resistant chemicals. But as evidence linking firefighting and cancer has emerged, a growing number of states, including California, Maine, and Michigan, have stopped requiring them. A 2006 study in the Journal of Occupational and Environmental Medicine that reviewed dozens of previous studies found that firefighters have a higher risk than civilians for a variety of cancers, including multiple myeloma, non-Hodgkin lymphoma, and testicular and prostate cancers. In 2008, a study in the American Journal of Industrial Medicine found firefighters in Massachusetts were more likely to develop colon, brain, and bladder cancers, while a 2013 study of 30,000 firefighters in San Francisco, Chicago, and Philadelphia found increases in risks of lung, digestive, and urinary cancers. The state fire marshal says home sprinklers are more important than flame retardants. Saunders pointed to an ongoing study by the California Department of Public Health that has found that firefighters who have been on the job for more than a year have been exposed to substantially higher levels of chemicals in flame retardants than civilians. In Massachusetts, firefighters are urging lawmakers to pass the ban. State Fire Marshal Peter Ostroskey said homeowners and businesses would be better off installing sprinklers, which are more effective at slowing fires and safer than flame retardants. State environmental officials declined to comment on the administration’s position on the bills, both of which were recently voted out of committee. 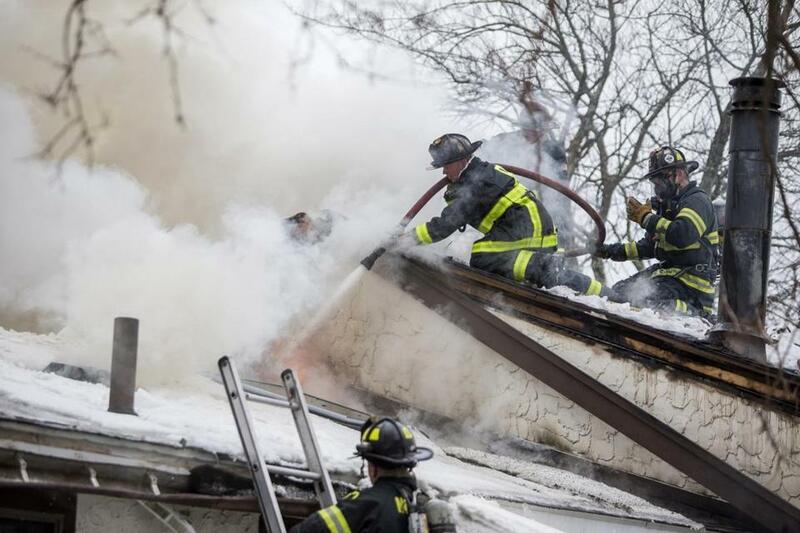 In Boston, the City Council last month updated the city’s fire code so that public buildings with sprinklers are no longer required to use furniture with flame retardants, and city firefighters said they hope the state takes more sweeping measures. Michael Hamrock, who spent 13 years as a physician with the Boston Fire Department and now treats hundreds of firefighters in private practice, said the city’s firefighters are nearly three times more likely to have cancer than the general public. He said firefighters often carry residue of flame retardants on their clothes and skin long after they leave fires. Traces are found in their blood for longer still. As a result, the city recommends firefighters wear a self-contained breathing apparatus at fires, wipe soot from their skin as soon as possible, and take showers and wash their clothing as soon as they return to their stations. The department also recommends frequent cancer screening. “No one should consider these chemicals safe,” Hamrock said.